Despite all the rigorous controls, errors sometimes creep into postage stamps, to the great delight of specialist philatelists. Errors are generally divided into two types: design and printing. Design errors encompass problems with text or design; printing errors, on the other hand, are faults with the colour, perforation, or omitted elements of the stamp. In Canada, printing errors are usually destroyed by the printer. 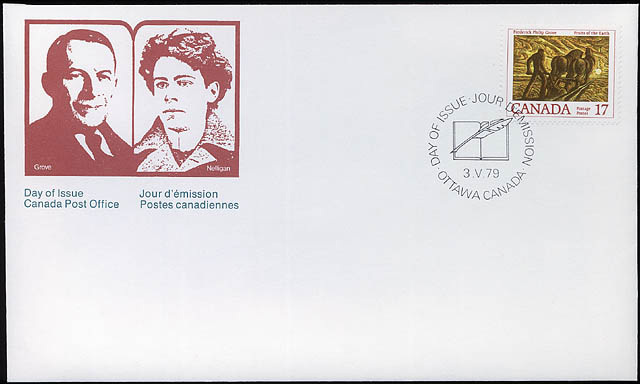 With regard to design errors, one would assume that a postal administration using two official languages (as it is the case in Canada) would encounter many mistakes in the inscriptions on its stamps; however, these mistakes are very rare. 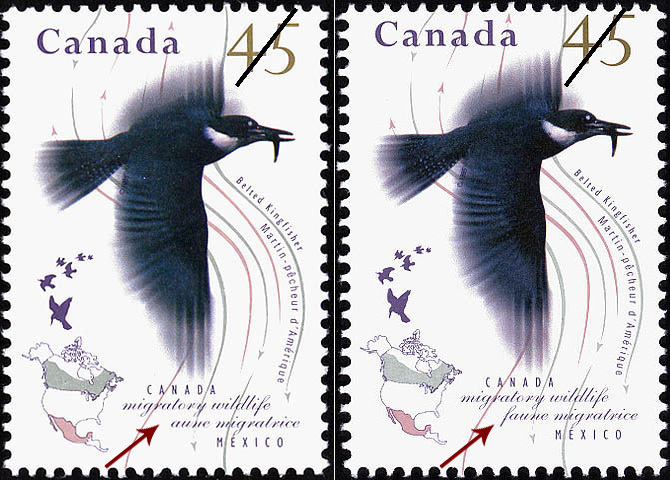 The most recent example of such a mistake occurring was in 1995 where the French title "faune migratrice" had its "f" cut off. The error was corrected in a new printing. Design errors can also occur on official first day covers. An example of this type of mistake can be found on the first day cover commemorating author Frederick P. Grove in which the portrait was not of him. 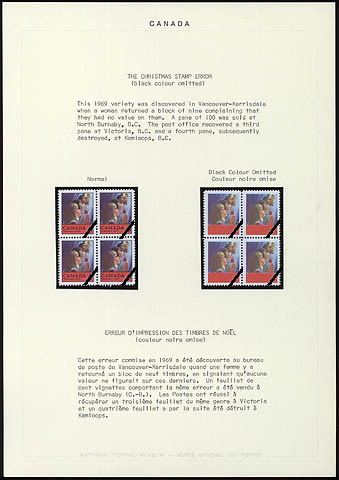 The covers were withdrawn a short time after the issue of the stamp. 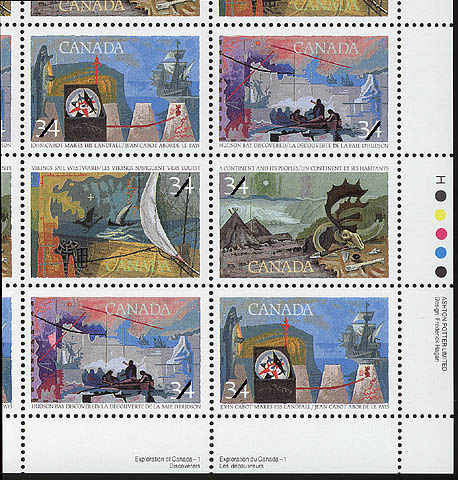 The most famous printing error on a Canadian stamp occurred in June 1959 when copies of the St. Lawrence Seaway stamp with its centre inverted in relation to the red border inscription were discovered. Another printing error occurred in October 1969 on certain copies of the 6 cents Christmas stamps. The colour black was omitted, which eliminated the inscription. 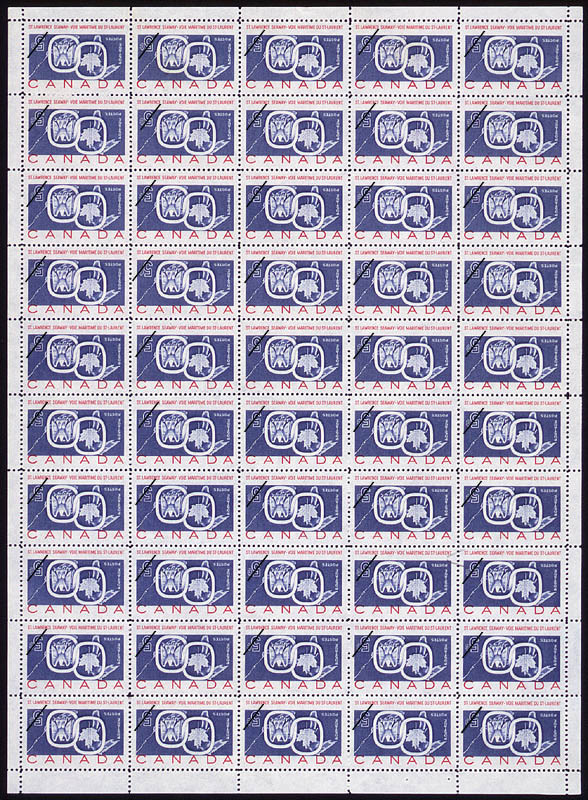 Finally, a colour printing variety nicknamed the "Pink Panther" (a pink spot) occurs in the same position on all sheets of the Discoverers series issued in 1986.